Rakuten Securities HK partners with FXCM to offer another outstanding trading platform – Trading Station. You can trade competitive spreads with a low fixed commission※. 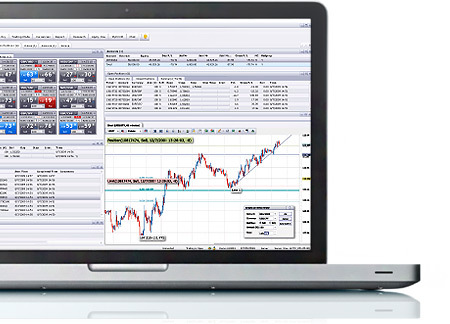 This gives you all the essential functions with unmatched Marketscope charting needed for all levels of forex traders. Designed for Windows computers. A powerful mobile trading platform is in your palm. Forex market is at your fingertips, wherever you go. If your country does not support Google Play, please click here to download Android apps. Trading Station Web works on Windows computers. 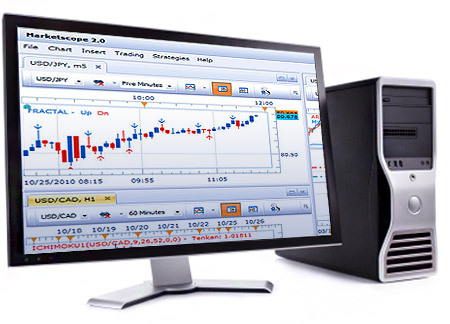 You can access the forex market easily with any computer connected with internet. 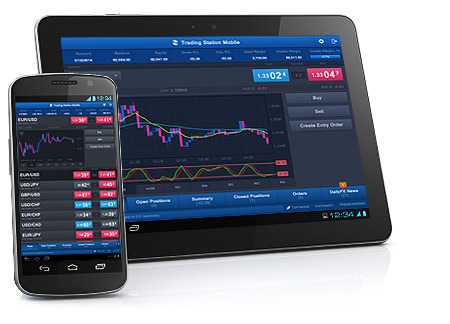 ^Please note, some features of the FXCM Trading Station will not be available on the FXCM Trading Station Mobile. Trading Station Mobile is offered as a convenience intended to be a supplemental resource to, and not a replacement of the Trading Station. Rakuten Securities HK recommends users not to use the Trading Station Mobile as the sole trading platform but instead to use it for limited circumstances. There are a series of inherent risks with the use of the mobile trading technology such as the duplication of order instructions, latency in the prices provided, and other issues that are a result of mobile connectivity. Prices displayed on the mobile platform are solely an indication of the executable rates and may not reflect the actual executed price of the order. iPhone, iPad, Safari and Mac OS are trademarks of Apple Inc., registered in the U.S. and other countries. App Store is a service mark of Apple Inc. Android and Google Chrome are trademarks of Google Inc. Google play is a service mark of Google Inc. Windows and Internet Explorer are trademarks of Microsoft Corporation. Firefox is a trademark of The Mozilla Corporation. Disclaimer: Rakuten Securities HK makes no warranty that any materials downloaded from this site will be compatible with, or operate without interruption on, your computer system, nor does Rakuten Securities HK warrant that such materials will function in a manner that is uninterrupted, error-free or available at all times. The use of this site, services or the downloading or other use of any materials therefrom, is done at your own discretion and risk and with your agreement that you will be solely responsible for any damage done to your computer system, loss of data or other harm that may result from such activities. Rakuten Securities HK assumes no liability for any computer virus or other similar software code that is downloaded to your computer from this site or in connection with any services or materials offered on this site. You agree to fully indemnify, defend and hold harmless Rakuten Securities HK from any and all damages, liabilities losses, costs, and expenses that may result from such activities.